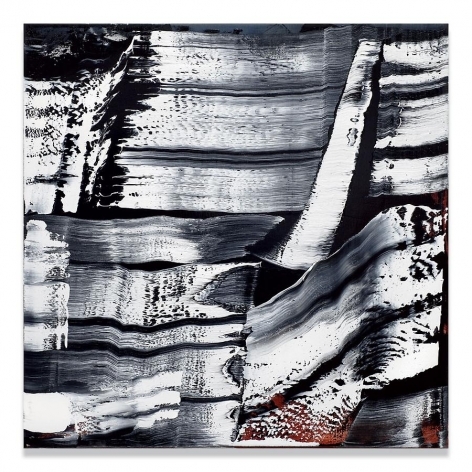 Mexican-born artist Ricardo Mazal unveils a series of gestural, abstract paintings inspired by his journey to Tibet’s holiest summit, Mount Kailash. 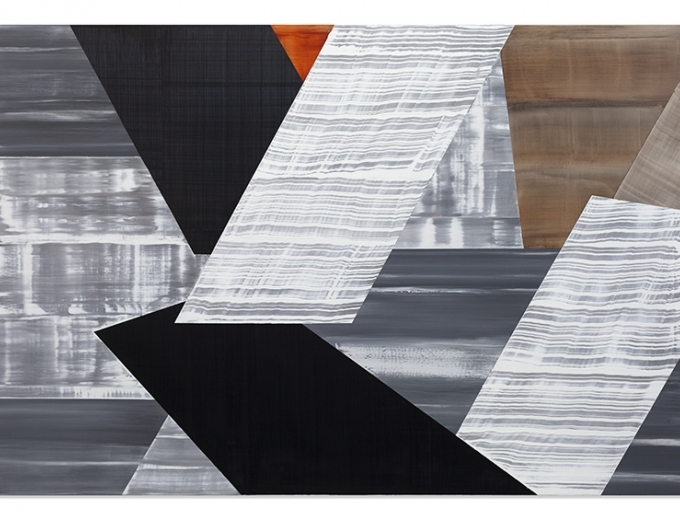 Using a multidisciplinary process, Mazal moves between photography, digital technology, and painting. In 2004, the artist embarked on a trilogy examining the sacred burial rituals of three cultures, continents, and time periods. He began at the Mayan tomb of The Red Queen in Palenque, Chiapas Mexico, then traveled to the Peace Forest cemetery in Odenwald, Germany. This newest series of works—inspired by the sky burials of Mount Kailash—marks the final installment of his triumvirate. For years Mazal has explored the cycle of life, death and regeneration. In each of his investigations, photographs have been the impetus. For Mazal, photography is a bridge that links reality to abstraction. His process begins by manipulating his photographs on the computer to compose a digital sketch. 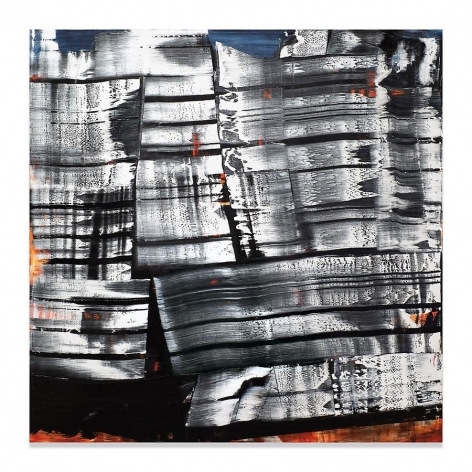 He then moves onto the canvas, delicately layering oil paint using foam-rubber blades. To reveal luminous passages of color, Mazal sweeps a dry blade with varying degrees of pressure across the canvas. The vestiges of paint are almost embryonic in structure with faint texture and hue. At regular intervals, Mazal photographs his painting in progress. Returning to his computer, he creates hybrid sketches that fuse the photographs of the painting with the virtual drawing allowing him to revisit his composition. Often, Mazal’s influences will also spring from images of previous paintings, which he incorporates into new digital sketches. 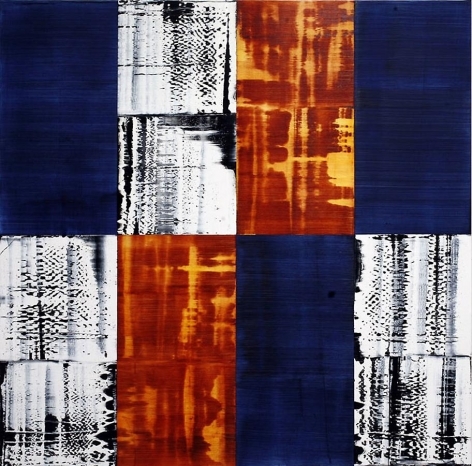 It is a regenerative and cyclical process closely paralleling the themes he explores. The trip to Tibet in 2009 was of intense spiritual significance for the artist. 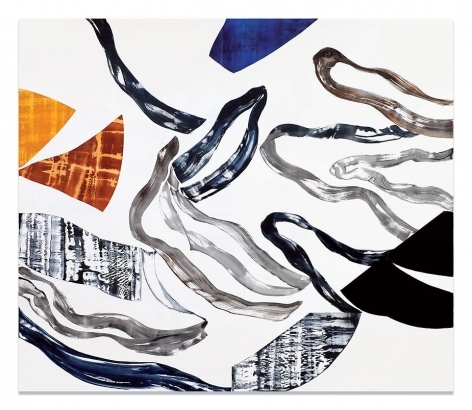 “I was struck by the convergence of material and invisible worlds,” Mazal says. Embracing the rituals of Mount Kailash, the artist performed the Kora, a 33-mile trek around the peak. This circumambulation is one of the most sacred rituals for Buddhists, Hindus, Jains and Bonpos. According to Tibetan Buddhists, one journey around the mountain cleanses all sins and 108 rounds can lead to nirvana. During his 21-day journey, Mazal documented the striated façade of Mount Kailash, the wood-frame boxes of pigments in the frontier town Darchen, and the streams of prayer flags quivering in the wind. What emerged from these studies were three distinct bodies of work. 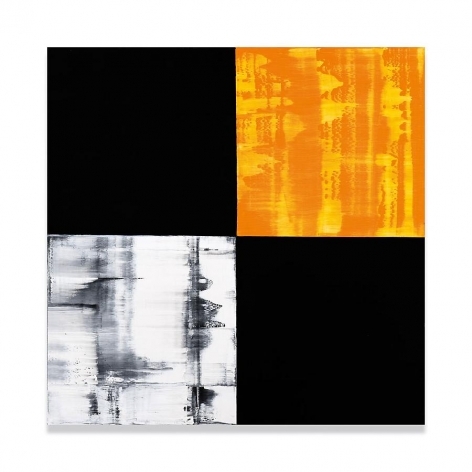 In paintings such as Kora MK8, blurred areas of black and white paint sweep across the surface of the canvas in a flickering motion. The repetition of horizontal streaks recalls the snow-streaked surface of the black mountain. The imbricated lines are also suggestive of a geological diagram indicating the passing of time. 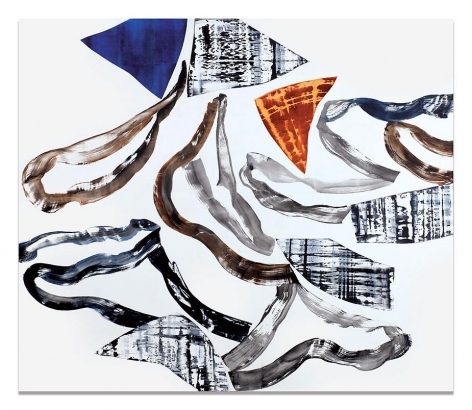 Meanwhile, in works such as Kora PF5, Mazal’s forms become looser echoing the freedom and fluidity of the vibrant prayer flags positioned across the mountain. According to Tibetan belief, the fierce winds deliver the blessings inscribed on the flags to the world. Finally, in the Cajas paintings, Mazal draws on the form of compartmentalized boxes of pigments. 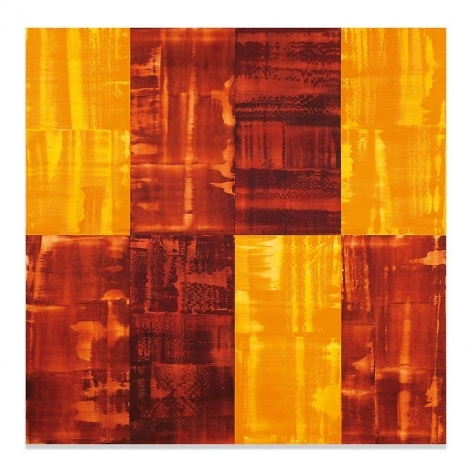 In Cajas Amarillo/Ocre/Rojo, for instance, he creates a geometric grid-like composition housing intense saffron, red and orange hues characteristic of Tibet. 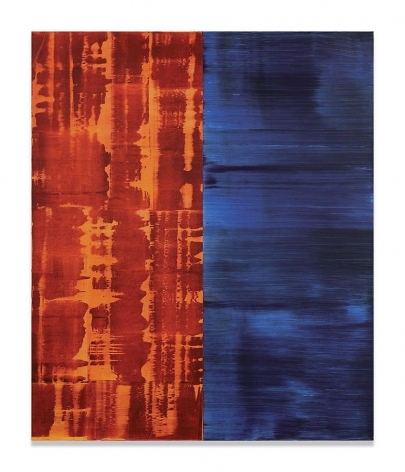 Each of Mazal’s works is charged with exuberance and movement. Thus while his paintings may emerge from sites relating to death, they are in fact a deeply spiritual celebration of life. Ricardo Mazal was born in Mexico City in 1950. He has exhibited extensively in galleries and museums throughout the Americas and Europe, including such institutions as the Museo de Arte Contemporaneo de Monterrey, Mexico; Museo Nacional de Anthropologia, Mexico City; The Americas Society, New York; The Scottsdale Museum of Contemporary Art, Arizona; and a recent retrospective at the Museo de Arte Moderno, Mexico City. 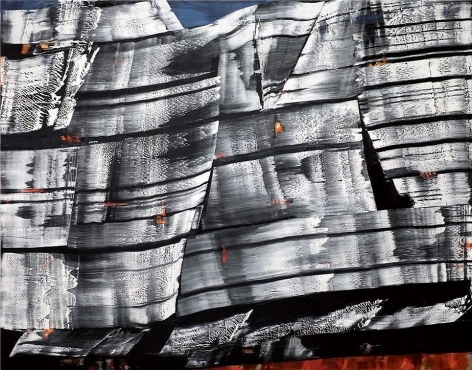 His work is included in the collections of the Scottsdale Museum of Contemporary Art, Arizona; Museo de Arte Moderno, Mexico City; Museo de Arte Abstracto Manuel Felguerez, Zacatecas, Mexico; Maeght Foundation, Paris; and Deutsche Bank, New York and Germany. Mazal divides his time between New York City and Santa Fe, New Mexico. For more information, please email gallery@sundaramtagore.com or call 212.677.4520.